StarTech.com's professional line of 2-in-1 USB KVM switch cables are specifically designed to work with your StarView or Server Remote Control KVM switch, integrating the necessary USB and VGA connections into a single cable - reducing tangles while maintaining excellent performance. 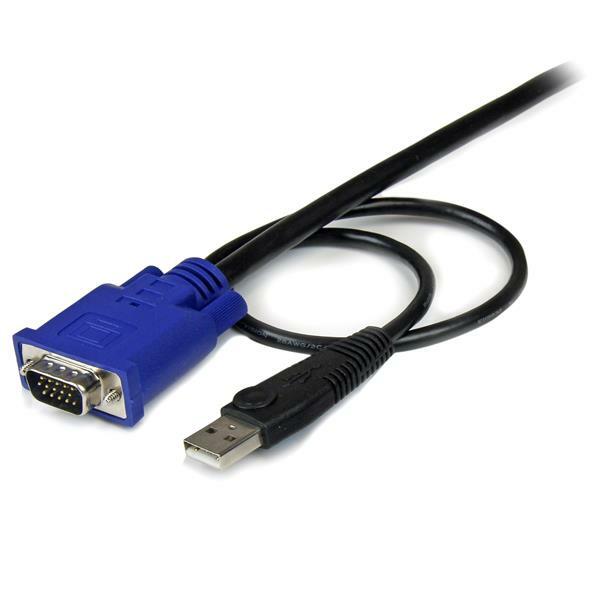 This 10ft 2-in-1 USB KVM switch cable features an ultra-thin design and is constructed of only high quality materials. Designed for durability and long-term reliability, this cable is backed by StarTech.com's Lifetime Warranty.